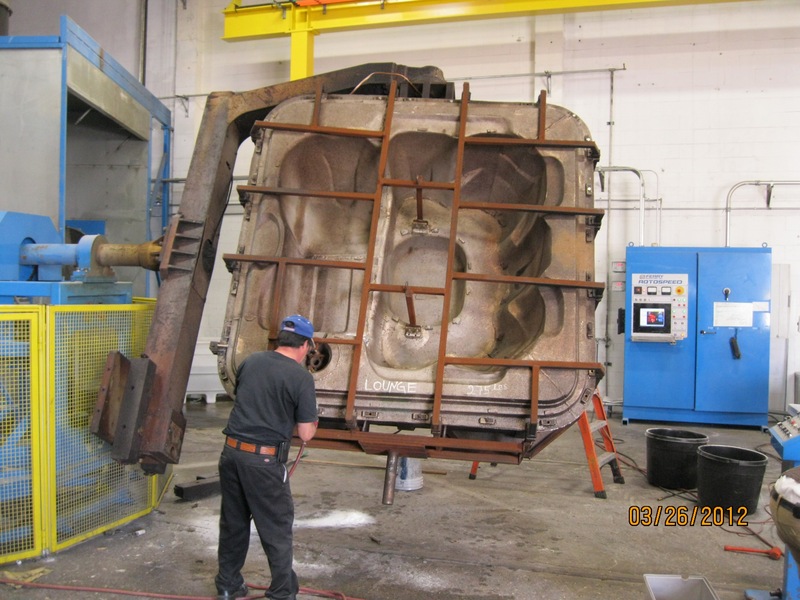 Rotational molding was invented in the mid-1800s as a means of producing hollow objects with consistent wall thicknesses. Since then, the process has been used to make everything from playground equipment to artillery shells. Today’s molds are filled with polyethylene powder the consistency of granulated sugar (the stuff plastic soda bottles are made of), then the mold is closed and heated in an oven. The heating and cooling process uses a machine that resembles the Tilt-A-Whirl at the county fair. You wouldn’t want a ticket to this amusement park ride, however. With typical rototub oven cycle times of 15-20 minutes and temperatures exceeding 600 degrees Fahrenheit, this is an experience even the most seasoned fairgoer should avoid. Rotomolding machinery manufacturer Ferry Industries Inc., based in Stow, Ohio, offers several types of machines, anything from single-station shuttle machines to four-arm, five-station production units. Whichever way you go, President Harry Covington explains that rotomolding beats the socks off traditional spa making methods. Want to get yourself some of that? Covington would love to sell you a rotomold machine, but you’d better have deep pockets. A large model of a fully equipped four-arm machine described above will cost upwards of $500K, and that’s just the beginning. Aside from the machine itself, each spa model also requires its own aluminum mold. This entry was posted in Consumer Products and tagged pool and spa news, rotomolded spas. Bookmark the permalink. ← Workholding: Are you dense?